Apartments in New York City are infamous for being both expensive and small. The average studio apartment in NYC averages only about 550 square feet, according to NakedApartments. A one bedroom will add another 200 square feet for a whopping total of 750 square feet of living space. While none of these apartment hacks will actually add a thousand square feet to your NYC pad, they can give the illusion and feel of it being larger than it is in reality. The best part is, most require very little effort and will go easy on your wallet. 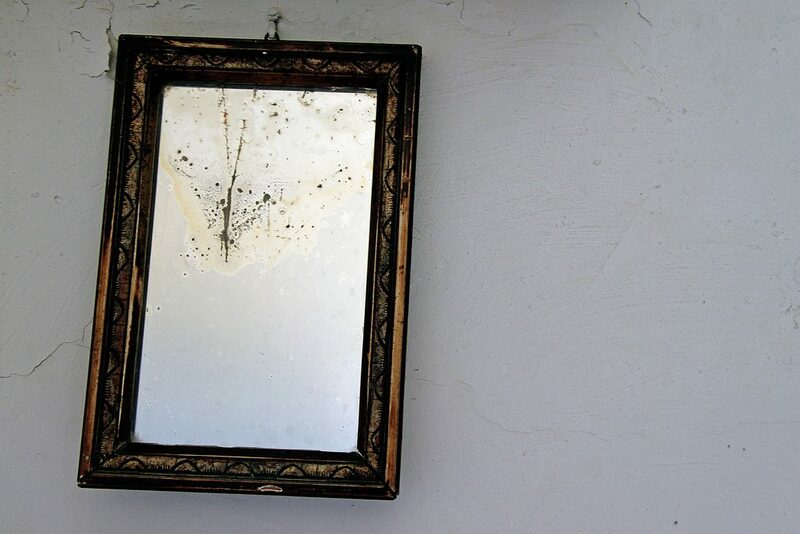 Smartly placed in a living room, a good old fashioned mirror will make even the smallest living room look twice the size. Another bright idea is to place a mirror opposite a window to make it double as a reflector, easily brightening up the room with natural light. 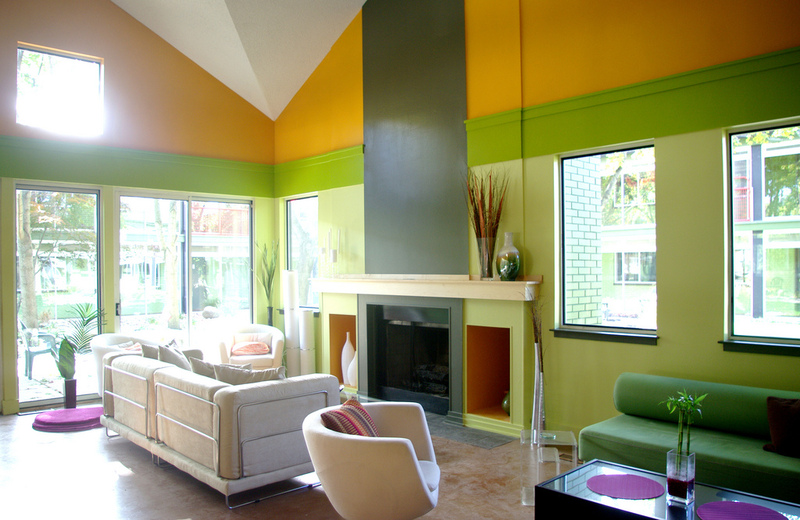 Lighter colors not only brighten a room but make it feel more open. Add a mirror to the mix, and you have a winning combination for maximum brightness. A helpful hint — don’t forget to paint the ceilings. They’re reflective as well. Pastels and more pale colors work best at brightening a room. 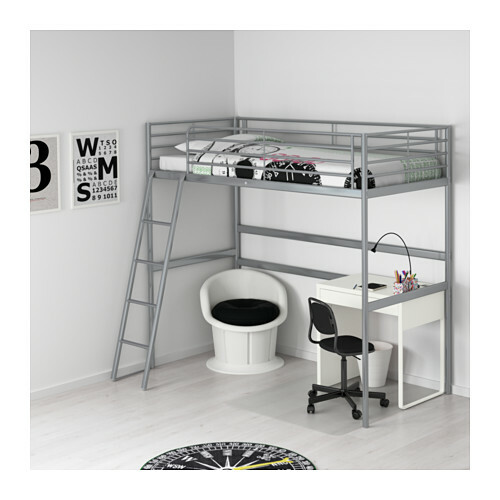 Now, with your bed out of the way, the space underneath can be used to create storage with vertical, open bookcases and a desk to create the perfect workspace. There are so many options to choose from when it comes to lighting your pad, but there’s only one option that will keep you out of the dark and take up no floor space — hang fixtures from the ceiling. Corded fixtures require no drilling, only an outlet to plug into. They’re easy to install, take up zero floor space, reduce clutter and come in all shapes, sizes and designs. 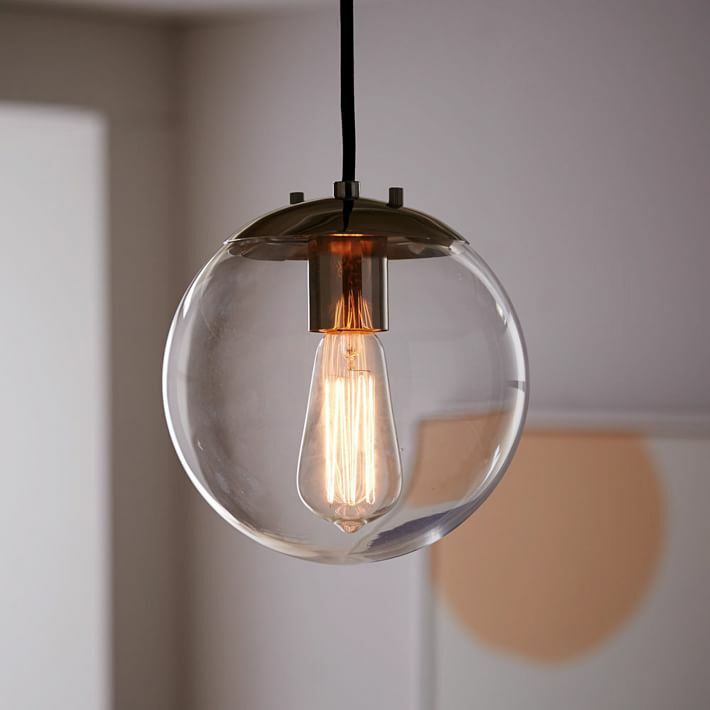 It’s definitely a bright idea for any space-challenged home. Large sectionals can be super-comfy, but they take up a lot of floor space. Getting something smarter for your space means going smaller. That smaller sofa, or loveseat gives you more room left over to play with other seating options like a cafe table and chairs in a corner. In addition, more importantly, the smaller furniture is less overwhelming to the room and helps create the illusion of the space being much bigger than it really is. 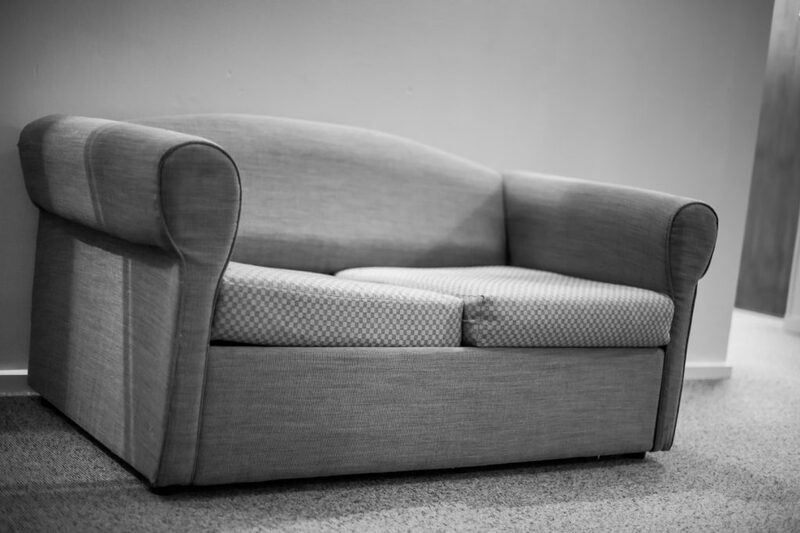 Added furniture tip: pull sofas and chairs a few inches from the wall to make them appear less cramped. That thick shag remnant on clearance at Home Depot may be tempting, but it won’t help make your pad look any bigger. 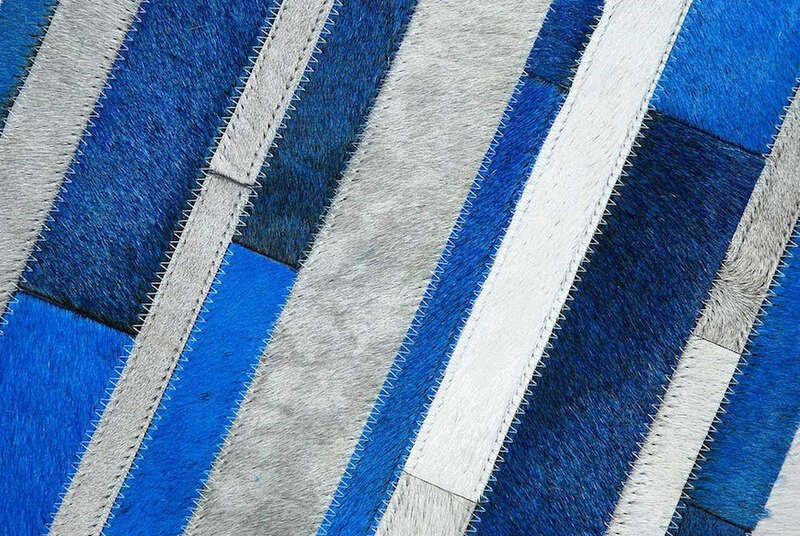 Stripes, however, can make a huge difference. Just like they do with clothing, vertical stripes give the illusion of length. Situate the rug so that it goes the longest length of the room so it’s most effective. Curtains certainly keep wandering eyes out of your space, but they also keep out the light you’re trying to bring in as well as make the window look more cluttered. Going au natural gives the window a sense of depth and allows the most light in. Of course, this isn’t always optimal for city living so invest in Roman shades or blinds and ditch those bulky curtains for good. Well, maybe not as invisible as Wonder Woman’s jet, but certainly see through. 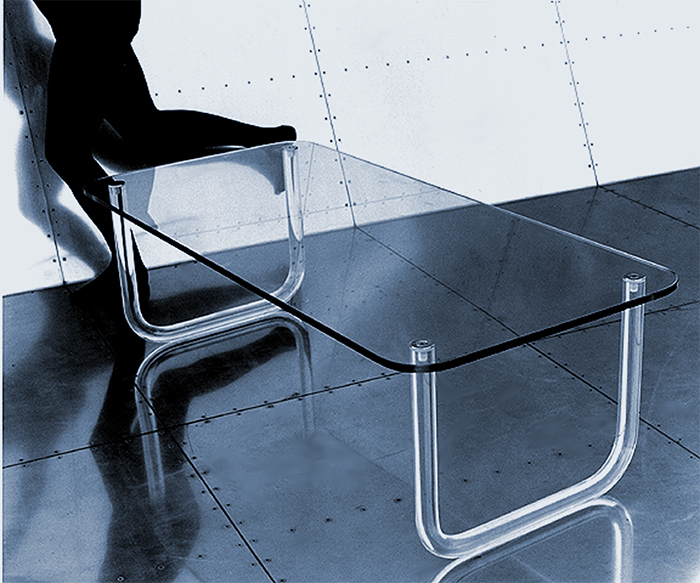 Glass or lucite furniture gives you not only the functionality of the piece, say a desk, but it is also practically invisible to the eye. This obviously adds to the illusion of less clutter and more floor space. When shopping for a confined space, choose furniture that can double as something else. 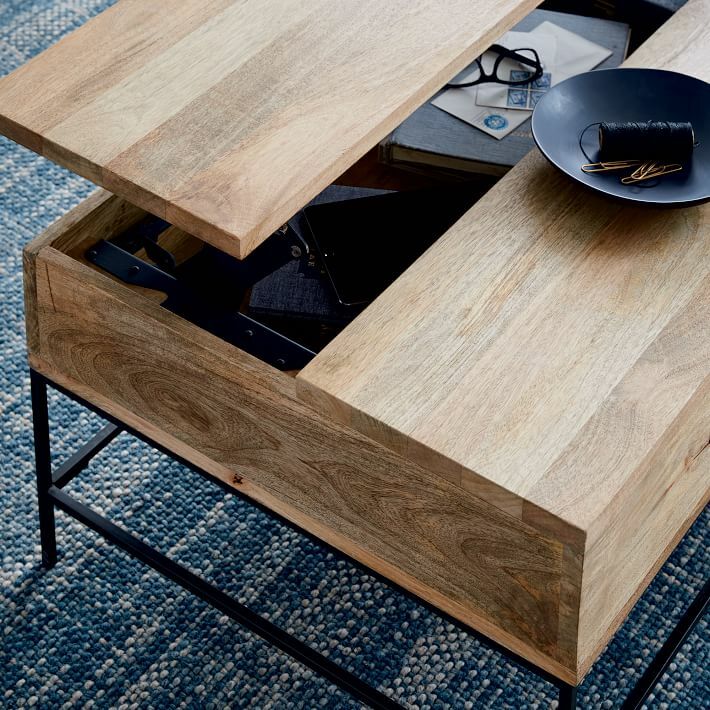 Coffee tables with built in storage compartments, sofas with taller legs that can easily hide some of your junk, or DIY ottomans with hidden storage are all smart two-for-one furniture investments for your small space. Rules were made to be broken. 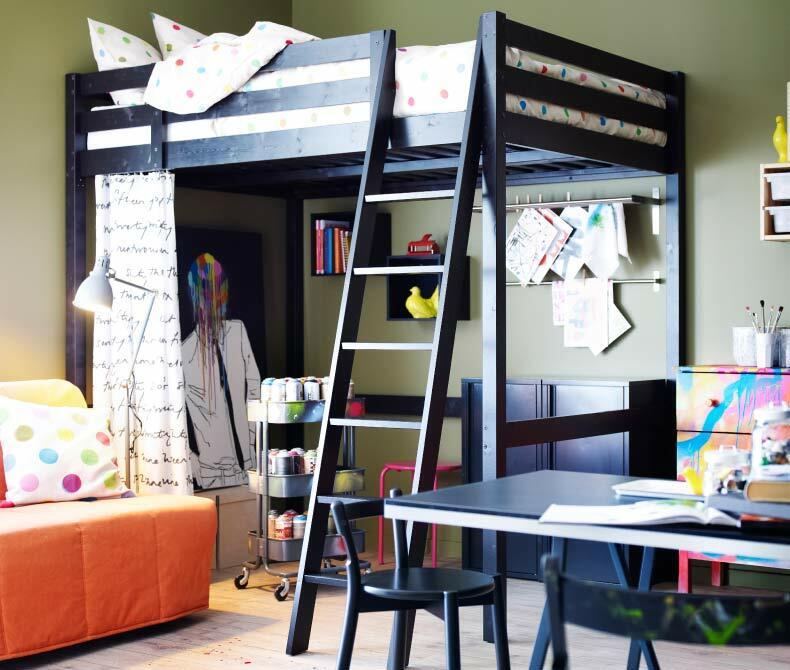 Following any or all of these hacks will certainly go a long way to making your tiny pad feel larger, there’s still plenty of room to get creative, inspired and think outside of the box — as long as it saves space, of course! 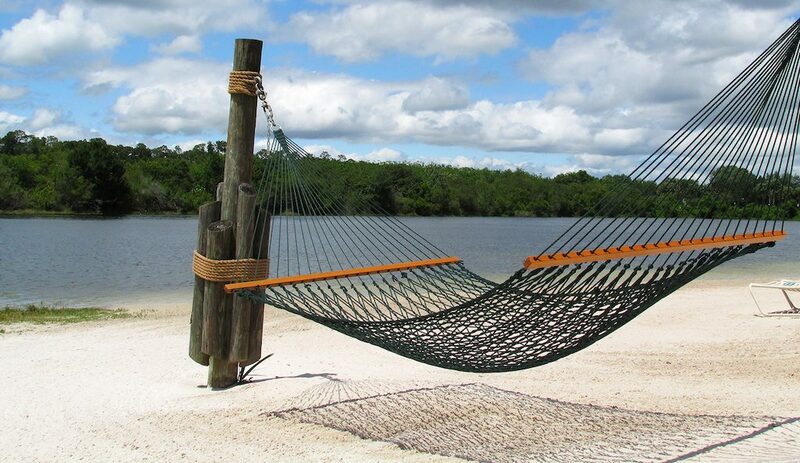 How about a hammock instead of a bulky sofa? Or a collapsible swing? Why not make your living room a faux-beach scene? The sky’s really the limit here and why not have a little fun decorating your living space?